First Line: I had a holiday dinner this evening and presents to wrap, but something else had suddenly become more important. Paige Shelton's lovely little short story tells us about Delaney Nichols' first Christmas in Scotland. She's been working at The Cracked Spine in Edinburgh long enough to feel comfortable, and she's really looking forward to celebrating a Scottish Christmas with her new friends. But just when holiday plans begin to pile up, Delaney's boss Edwin puts her in charge of tracing the owner of a mysterious box of items, and she finds herself being drawn into an otherworldly sort of cold case dating back to the 1960s. Shelton shows a Dickensian flair in writing this Christmas tale. 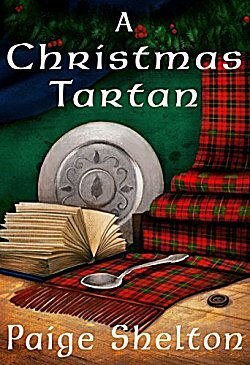 Not only is it just the thing to read during the holiday season, it's a perfect addition to her new Scottish Bookshop series. Read it with a smile! Oh, the setting for this one got my attention right away, Cathy. And it does sound like an interesting 'cold case' story, too. Yup, a good holiday read.